Author Interview: Darkness, Suspense and Vashti Quiroz-Vega! Oh, My! Today we have a real treat! We get to chat with YA suspense, thriller and horror writer, Vashti Quiroz-Vega, whose book, The Basement: Robbie’s Rite of Passgae, will be released tomorrow! For those of you who don’t know this amazing writer, Vashti has a love for all the arts (music, writing, drawing, etc.) and features artists from various disciplines on her blog. Vashti is one of those people I always think of as being chipper, smiling and laughing. I mean, just look at that innocent face! So it was really interesing to read about her penchant for The Dark side. Alright, I know. Enough chit chat! Without further ado, allow me to introduce to you one of the blogging world’s most dynamic voices! So read on…but don’t forget to leave a light on! 1- Hello, Vashti! Fantastic to have you with us today. Can you start by telling us a little about yourself? My full name is Vashti Quiroz-Vega. I grew up in New York City, and I currently live in south Florida. I’m a Registered Diagnostic Medical Sonographer—that’s my day job. My passion is writing. I have a large extended family and two cute little dogs, Rascal and Cocoa. 2- Where does writing fit into your life, and why are you drawn to it? How did you get your start and what keeps you motivated/inspired? Every chance I get, I write. I’ve loved reading and writing from a very early age, and I’ve always been a good storyteller. I can’t explain what draws me to writing. I guess I just love telling stories. Ha, ha! 3- What forms of writing (short stories, poetry, novels, etc.) and genres do you prefer to write? I enjoy writing short stories, novels and poetry. I have a box full of short stories that I can either leave as they are or expand into novels. My book, The Basement, came from that box. It started as a short story I wrote in high school, which I then expanded into a novel. My favourite genres are Fantasy, Suspense, Thriller and Horror, and sometimes I intermix several genres within a single story. I love the idea of creating characters and worlds. 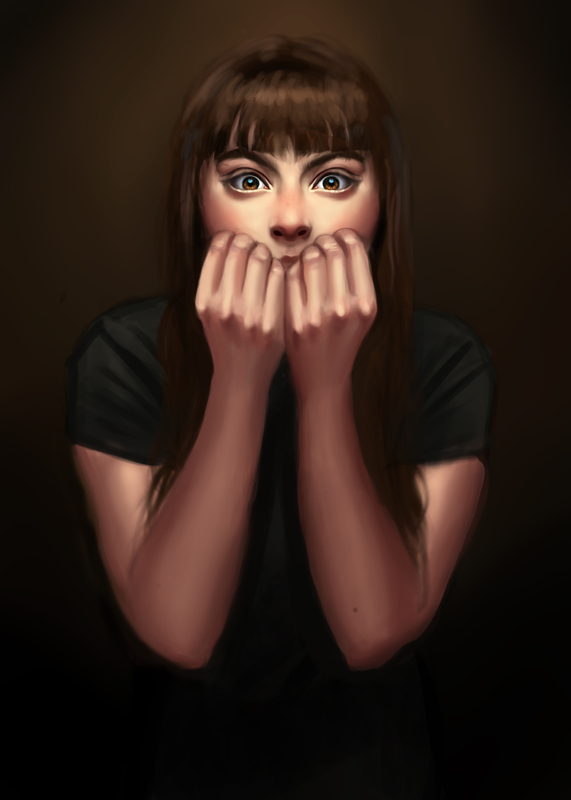 I enjoy being scared and scaring others (to a certain degree, of course). The anticipation factor and the thrills and chills of Suspense/Thrillers excite me. 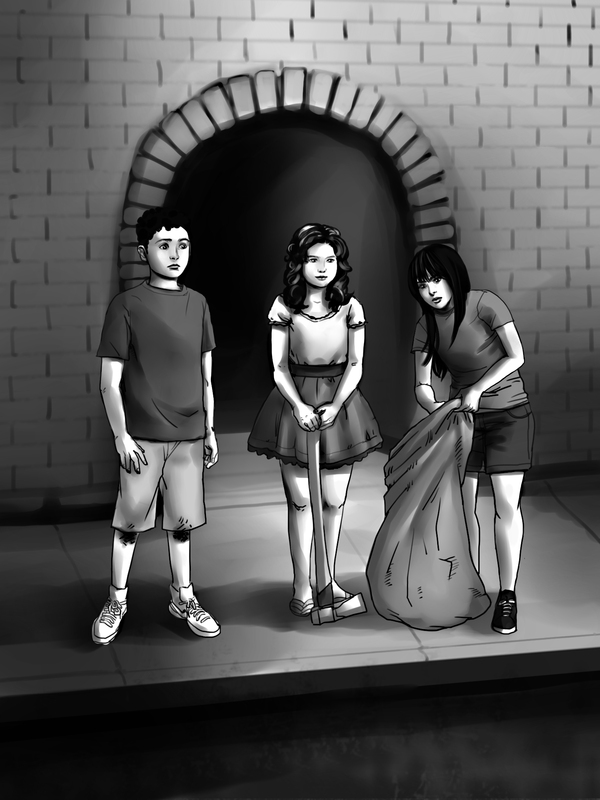 What will Natasha discover hiding in the darkness of The Basement? Read on, if you dare. 4- Do you have favourite tips/words of wisdom you like to share with other writers? Don’t allow unqualified people to critique your story—they can only do more harm than good. When you’re done writing your story, have a professional editor edit your manuscript. Also, I’m a firm believer in Karma. I believe that if you’re kind, helpful and supportive to other aspiring authors, good things will come to you, and vice versa. 5- As a reader, what do you think makes a good story? What’s one thing a ‘bad’ book taught you to never do in your own writing? For me, the story has to keep moving forward with action, and without too many stagnant areas. I don’t really believe in bad books. I think if it was published and people bought it, it couldn’t be so bad. Take the Twilight series—I hear people all the time talking about how bad those books are. Personally, I prefer my vampires not to glitter, and I like vampires to tear people’s throats out and be full of raw animalistic sexuality, but that’s just me. At work there are women of different ages who devoured the Twilight series and really enjoyed those emo vampires, and frankly, Stephenie Meyer is laughing all the way to the bank. Another book widely criticized is Fifty Shades of Grey by E. L. James. If the book made countless people happy and horny, who are we to judge? Ha, ha! 6- As a writer, what elements do you find are the most crucial to include in your stories? What are your strengths and weaknesses? 7- Who are your favourite writers and why? Stephen King, Dan Brown, Anne Rice, J.K Rowling, J. R. R. Tolkien, and Michael Crichton. I enjoy their storytelling. 8- Can you tell us about The Basement? What other projects are you working on? 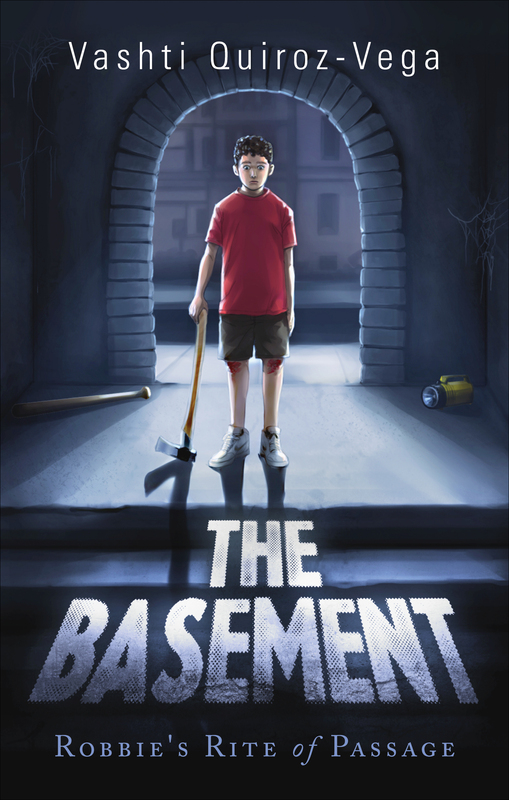 The Basement is a suspense/thriller aimed at a Middle Grade/Young Adult audience. It’s about a highly intelligent pre-teen named Robbie. He deals with being bullied by neighbourhood kids and verbally abused by his alcoholic father. He does, however, have friends that love him and heroes to look up to. 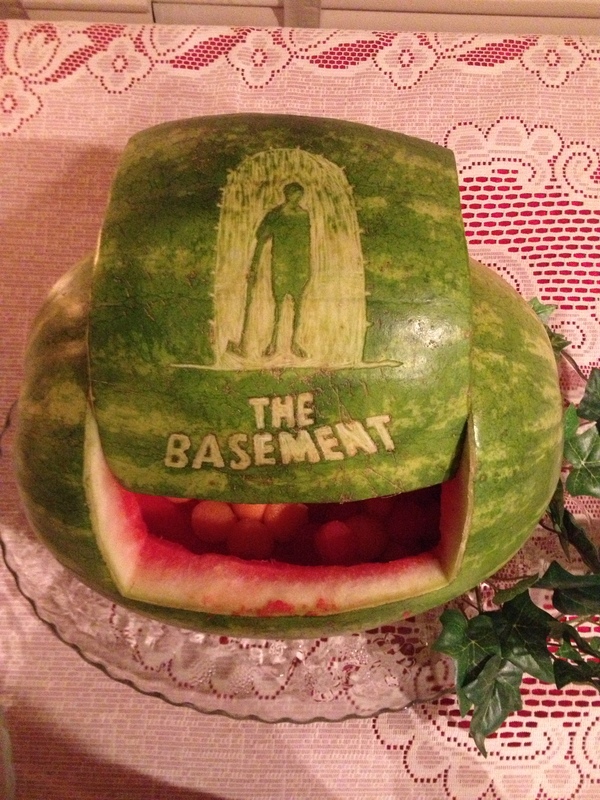 The Basement is a tale of angst, teamwork and solutions, of treasure hunts and adventure, and of facing your fears. The story focuses on the small-but-everything world of one group of pre-teens and the very real and wondrous situation they face. I’ve written a second book, a Young Adult/Adult Fantasy, Lilith. It is the first of my fantasy angel series. 9- What do you find is the most difficult aspect of writing and how do you cope with it? The editing part is challenging, especially when I have to kill my darlings. 10- What do you find is the most satisfying part of being a writer? I have a blog, a Facebook author page and book page, Twitter, Tumblr, website and Goodreads. The pleasure is all mine, Vashti. Readers, don’t forget to check out Vashti’s contact pages and links as well as her book, The Basement, which will be released August 20!! Lovely interview Dyane and Vashti!! Congratulations on your book Vashti. We are all excited about it too!! Yippee! Glad to hear it, Vashti! Dyane and Vashti, congratulations to you both for a lively interview that leaves one wishing it were longer. Vashti’s book sounds very interesting, and I wish her enormous success, given her professionalism and talent. Thx! So glad to hear from you! Hello! 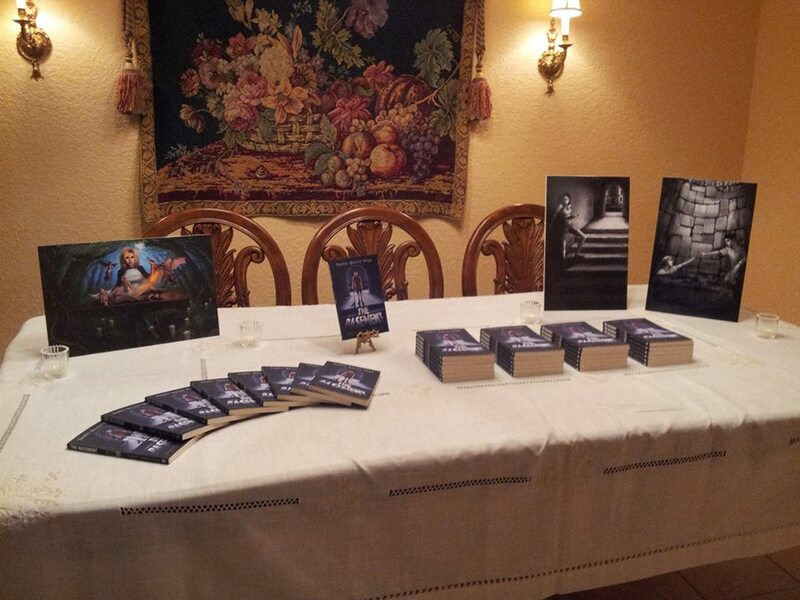 I was interviewed by the lovely and talented author Dyane Forde. The interview was a great success so I thought I’d share it with my fans and followers. I hope you enjoy it as much as I enjoyed being interviewed by Dyane. Thx for reading and commenting. 🙂 I’m sure Vashti will be happy to read your comments.